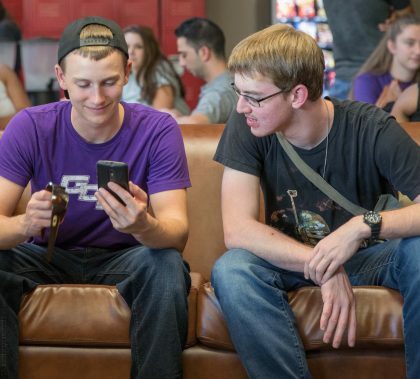 Photos by Slaven Gujic and Travis Neely GCU News Bureau Wednesday was another day of student volunteers have a ball while helping their peers move in. Another highlight of the day was the Commuter Social, and the always emotional Ignite ceremony topped off Day 3 of Welcome Week. 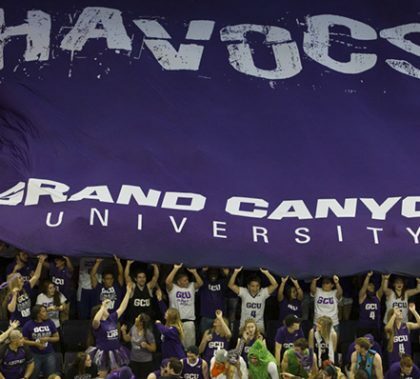 Grand Canyon University got the official word from the NCAA on Wednesday: It has passed all the requirements of its transition to Division I and is fully eligible for all postseason tournaments. 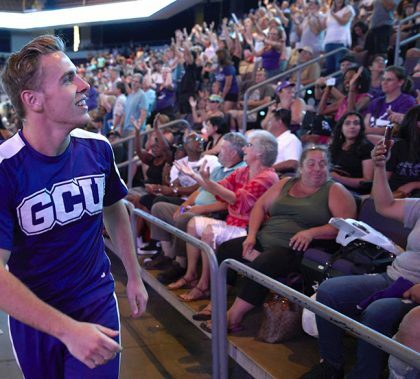 The August issue of GCU Magazine contains a look at the Lopes’ many accomplishments during the four-year transition from Division II and how they’re positioned to make the most of their newfound status. The issue also features: ● The annual GCU INsider, which provides the answers to some burning campus questions and some fun ones as well ● An important development in the outlooks of the Students Inspiring Students scholarship recipients ● A look at the mission trips students went on this summer ● A new feature, called My LopeLife, that shares a very personal story of spiritual growth on one of those mission trips ● The latest on all the new engineering labs ● The culture of Valley hospitals with so many GCU graduates working for them ● The inspirational stories behind the lengths doctoral learners go to finish their dissertations ● An interview with Brennan Williams, General Manager of Grand Canyon Beverage Company To read the digital version, click here. The annual Ignite ceremony, which features rousing music by the Chapel Worship Band followed by a lighting ceremony on the Quad, is always incredibly moving. But this year, attendance was higher, and the spiritual energy seemed stronger. “There’s something unique about the class of 2021,” said Dr. Tim Griffin, Pastor and Dean of Students. 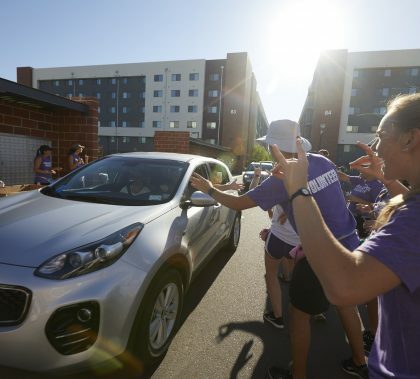 Photos by Travis Neely GCU News Bureau The second day of Welcome Week started with the usual Move-In fun, with volunteers descending on car after car, and ended with Night at the Movies in GCU Arena. 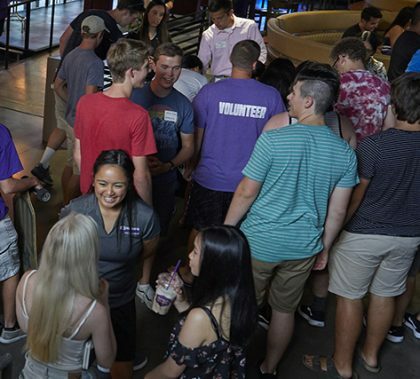 ASGCU went to great lengths Tuesday to make sure the University’s newest international and out-of-state students felt welcomed as they became a part of the GCU community. Students joined in conversation, laughter and games in Thunderground. They also shared their personal stories, their excitement and passion for learning. 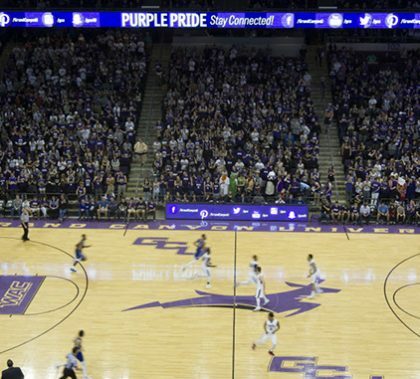 “Welcome Home,” the sign at the Lope Shop reads, and incoming students and their parents obviously have felt right at home there this week. 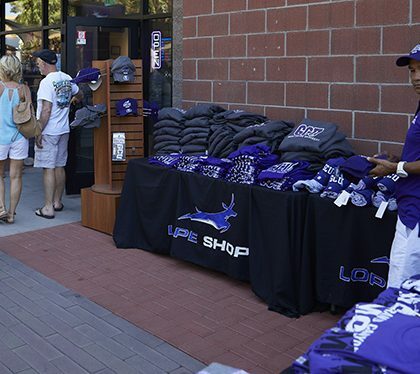 The store has been packed with people looking to get their GCU gear. 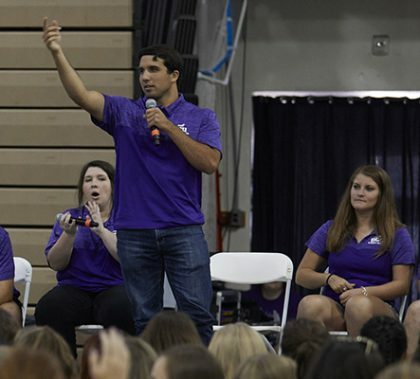 Incoming students are kept busy during Welcome Week with informational sessions designed to ease the transition to college life. One of the best is Thrive, which educates them on what to expect away from the classroom. 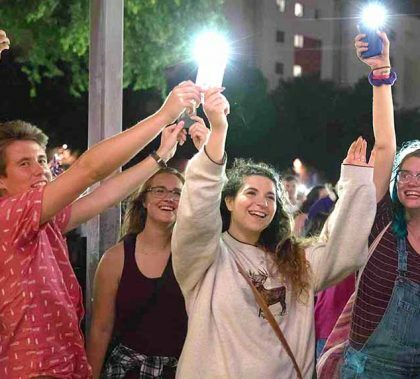 Whether parents are mournful at the thought of no longer living with their GCU freshman or cheered because they can finally convert the bedroom into a study, the milestone of a child going away to a college or university is significant for all involved. At a Parent Hospitality Corner on Monday, some family members discussed what they were feeling and how they were responding.